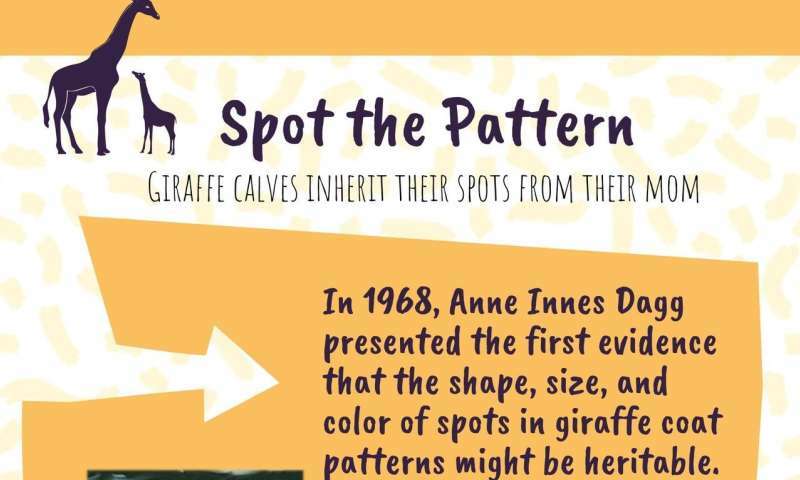 "Giraffe spot patterns are complex and can be quite different among individuals, but we don't really know their purpose in the wild," said Derek E. Lee, associate research professor at Penn State and first author of the paper. "Complex markings can help animals evade predators, regulate their temperature, or recognize family or individuals, all of which can affect their ability to survive and reproduce. 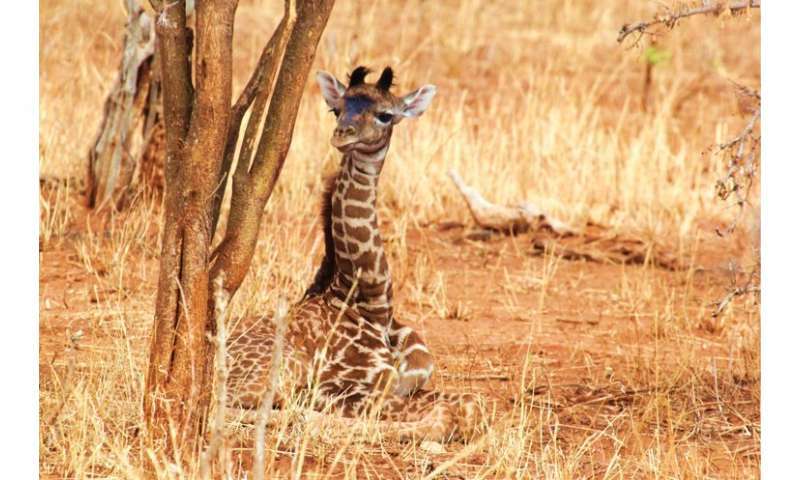 In this study, we analyzed survival records and photos of spots of Masai giraffes, and show that spot patterns do affect juvenile survival and are heritable—they are passed from mom to baby." The study also found that two of eleven spot traits measured, circularity—how close the spot is to a perfect circle—and solidity—how smooth and complete the edges are—were significantly similar in mothers and calves. This suggests that these traits are inherited by the calf.